A book about growing up which has delighted generations of young readers. The illustrations by Ella Bailey are perfect for the modern audience. This edition includes extra material for young readers. The four March sisters – Meg, Jo, Beth and Amy – live in financial hardship in New England with their mother, while their father has been drafted to fight in the Civil War. The girls embark on a series of adventures and endure a number of unexpected misfortunes – experiences that allow their personalities to emerge: Meg sensible and outgoing, Jo literary and boyish, Beth musical and shy, and Amy artistic and selfish – but the bonds holding together the March family remain unbroken. 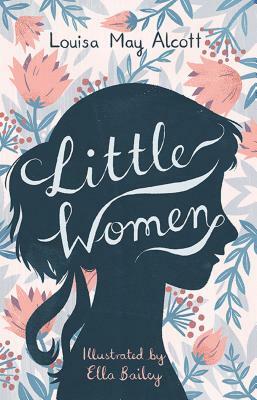 Initially written as a novel for girls, Little Women is now regarded as an all-time American classic for all readers, inspiring generations of women writers and giving rise to many adaptations.